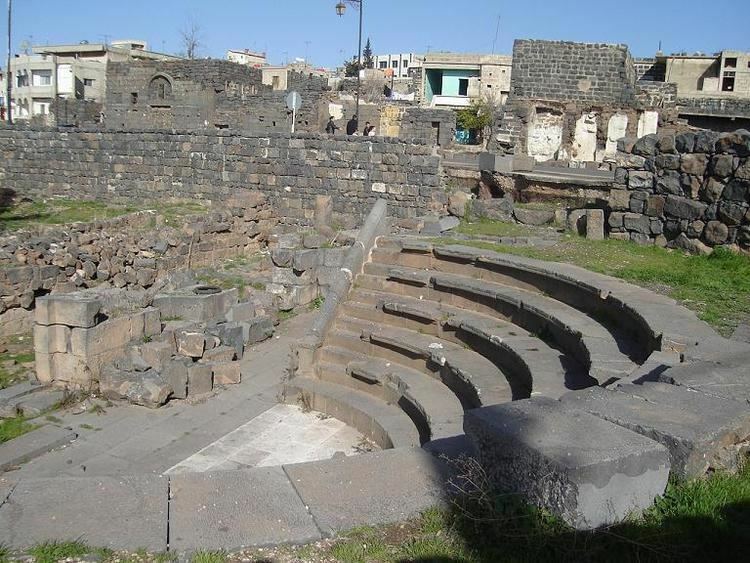 As-Suwayda (Arabic: السويداء‎‎ / ALA-LC romanization: as-Suwaydā’), also spelled Sweida or Swaida, is a mainly Druze city located in southwestern Syria, close to the border with Jordan. It is the capital of As-Suwayda Governorate, one of Syria's 14 governorates, bordering Jordan in the South and Daraa Governorate in the West and Rif Dimashq Governorate in the north and east. The city is referred to by some as "Little Venezuela" due to the city's influx of affluent Venezuelan Syrians immigrants. The city has been held by the government for the duration of the Syrian Civil War and has seen relatively little fighting. The inhabitants of the city are mainly Druze with a prominent Greek Orthodox Christians minority. 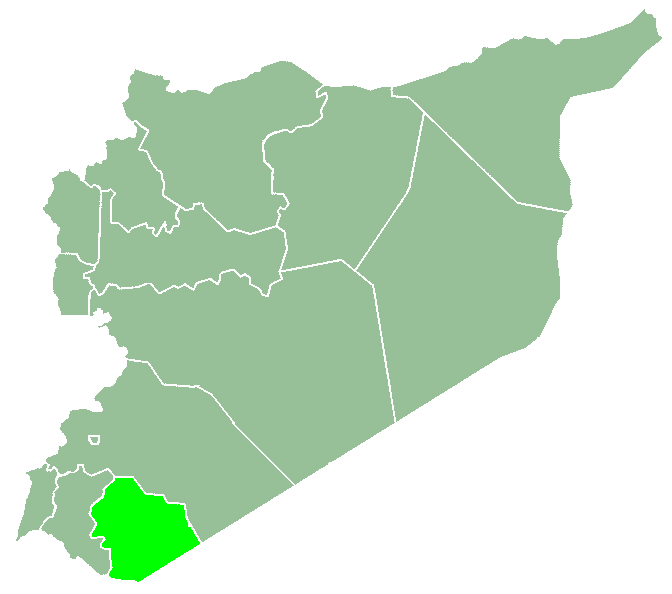 The population of As-Suwayda Governorate is 313,231 (2004 census). According to estimates from the Venezuelan Embassy in Damascus, almost 60% of the population of As-Suwayda was born in Venezuelan territory and possesses double nationality, making the city referred to by some as Little Venezuela. The city was founded by the Nabataeans as Suada. It became known as Dionysias (Ancient Greek: Διονῡσιάς) in the Hellenistic period and the Roman Empire, for the god Dionysus, patron of wine - the city is situated in a famous ancient wine-producing region. The name Dionysias replaced the former Nabataean name of Suada in 149 AD after Nabataean influence decreased and then concentrated towards the south, as a result of the accelerating Hellenization of Coele-Syria at that time. Dionysias was a part of the Roman province of Arabia Petraea, and received the rights of civitas under the reign of Commodus between 180–185. Dionysus was worshipped in the same Nabatean temple dedicated for Dushara. This practice of associating the worship of local and Hellenic gods was common in Hellenistic Syria. This name remained in use during the Byzantine Empire, when the town was under the influence of the Ghassanids, Dionysias then was a diocese with a suffragan bishop from Bosra. It was mentioned in the Synecdemus of Hierocles. After the early Muslim conquests it became a titular see. Yaqut al-Hamawi noted in the 1220s that As Suwaida was "a village of the Hauran Province". In recent times Dionysias was firstly identified as as-Suwayda by William Waddington. Temple of Dionysus-Dushara: eight well-decorated columns are still standing from the temple. Saint Sergius Basilica: was built in the fifth century. It has Byzantine architectural elements, with an abbey surrounding it. The basilica was dedicated to Sergius. The arch of the lesser church: the church itself is ruined. An arch is still standing there known locally as "The Gallows" (Arabic: المشنقة‎‎ al-Mashnaqah) with grape motif decorations. The amphitheatre: was recently discovered, south of the Agora. The city has many ancient reservoirs, towers and old Roman houses that are still inhabited by locals. Many parts of the old city are still to be excavated, such as the Roman aqueduct, a conical reservoir, and a larger Roman amphitheatre.